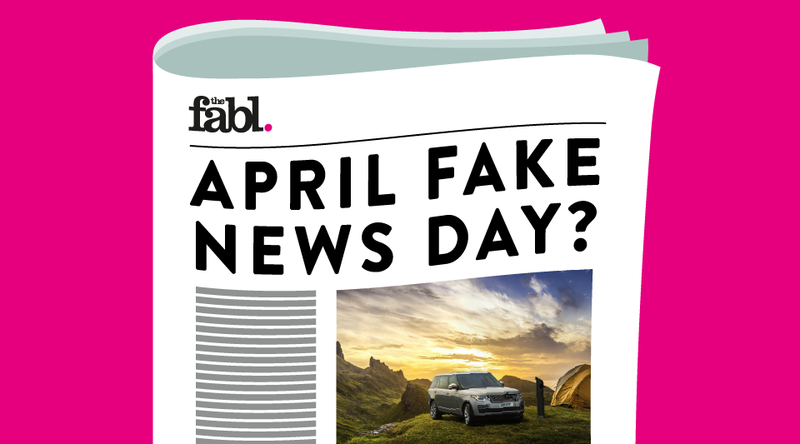 As another April Fools’ Day passes, it’s interesting to see how brands conduct themselves in light of ‘fake news’. Of course, brands can be funny and make us laugh. But what happens if the joke falls flat? Only last week, Ryanair attempted to poke fun at British Airways, as one of their flights had mistakenly landed at the wrong airport. Ryanair was quick to present BA with a copy of Geography for Dummies. However, Ryanair’s ribbing backfired, with many on social media offering them the gift of Customer Service for Dummies. Other Twitter users suggested that Ryanair might wish to address how they fly to airports that are nowhere near the supposed destination. This was undoubtedly a situation where those in glass houses shouldn’t throw stones. But the question might be, what is the difference between fake news and an April Fools’ joke? It seems to me that fake news can be isolated as something that is meant to mislead and dis-inform, indefinitely. In politics, there’s no doubt that fake news stories can cause enormous disruption. Elections can be won or lost and people’s lives can be unmeasurably affected. 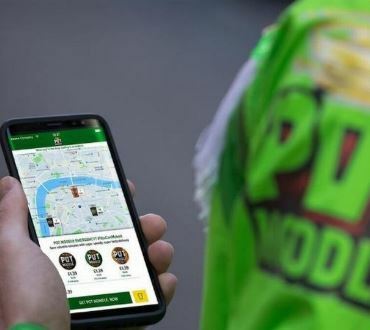 When a brand places an April Fools’ ad in the media, they are continuing the tradition of a bit of light-hearted relief from the everyday. Goodness knows we need it. If you go back to 1957, the BBC ran a news story that spaghetti was in fact grown on trees. Back then, the population was not really au fait with exotic foreign food such as pasta and the public largely believed it. The BBC also ran a story in 1988 which proposed that Big Ben would be digitised. Both stories were so absurd, but at the same time completely plausible. They tapped into the fact that sometimes we are all a little gullible. When it was revealed that the stories were fake – or to use a deliberately charged word – a hoax; the public laughed it off with an innocent sense of ‘ok you got me’. I remember BMW always presented the most absurd but at the same time legitimate claims. 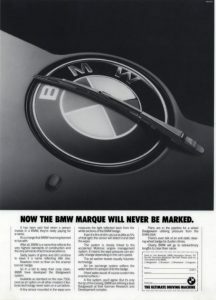 In 1988 they introduced a tiny windscreen wiper for the marque’s badge on the bonnet. 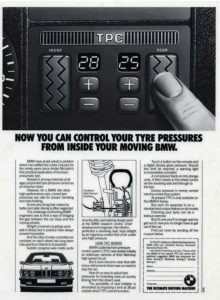 In 1985 they proposed Dashboard Tyre Control Technology which allowed drivers to inflate their tyres while the car was still moving. 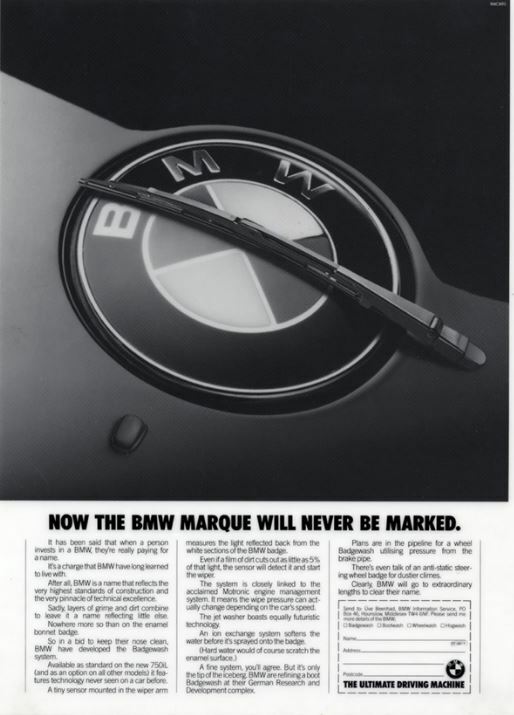 BMW went on to create many April Fools’ jokes at considerable expense. These were print and TV ads with the same production values and costs as their regular output. Yes, they were poking fun, but the important distinction is they were pointing fun at themselves and their drivers. If they were, for example, having a pop at Audi or Volvo drivers, the joke would have taken on a completely different inflection. 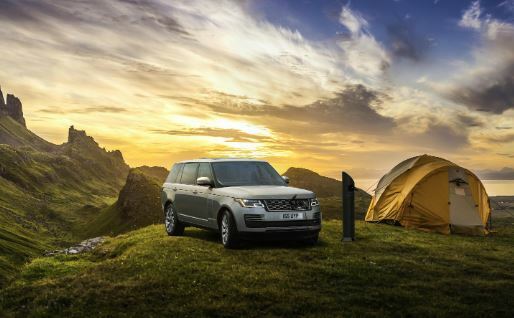 Here we had a German brand poking fun at itself and aiming it at its British audience. Interesting times. This year, there were one or two brands who made a concerted effort to continue the April ruse in style. Land Rover ran an ad which encouraged their electric car drivers to further extremes, with news of the installation of the UK’s most remote charging point on the Isle of Skye. 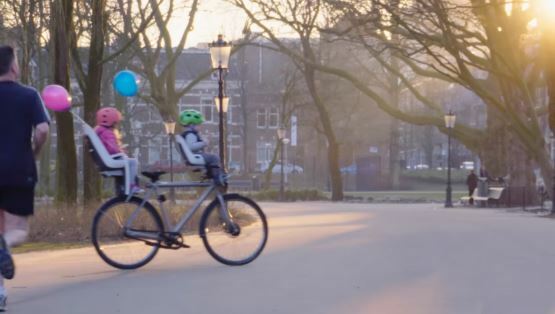 Google played a strong game with the introduction of the self-driving bicycle which was launched in Amsterdam. They produced a video which shows how the technology allows it to stand on its own and ride and stop of its own accord. Pot Noodle also stepped up to the plate with an app which promised the delivery of their potted snack in under two minutes. Did you fall for Pot NOWdle? As far as the fabl is concerned, the clear winner this year is Argos. 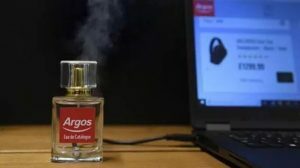 They cleverly tapped into their market with a USB powered perfume – Eau de Catalogue – which was designed to give nostalgic shoppers the scent of their magazine whilst shopping online. As huge supporters of design for print, it was a wonderful piece of creative thinking. It’s true that trust in the media is at a very low ebb. We often ask ourselves the question, is what we are reading, really legit? 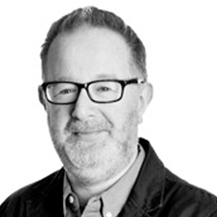 I would argue that as far as brands go, April Fools’ Day is an opportunity to share in a joke – and it is a bit of harmless fun. There’s no doubt that we are living in interesting times. But our sense of humour is thankfully prevailing.